Product prices and availability are accurate as of 2019-04-15 06:54:20 EDT and are subject to change. Any price and availability information displayed on http://www.amazon.com/ at the time of purchase will apply to the purchase of this product. 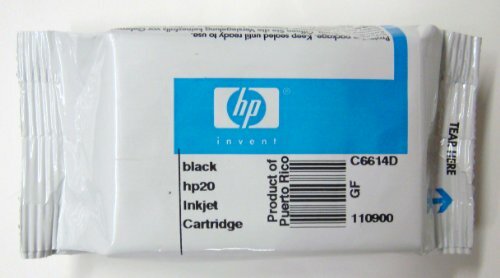 Original HP 20 ink cartridge (C6614D) works with: HP DeskJet 640, 642, 648. 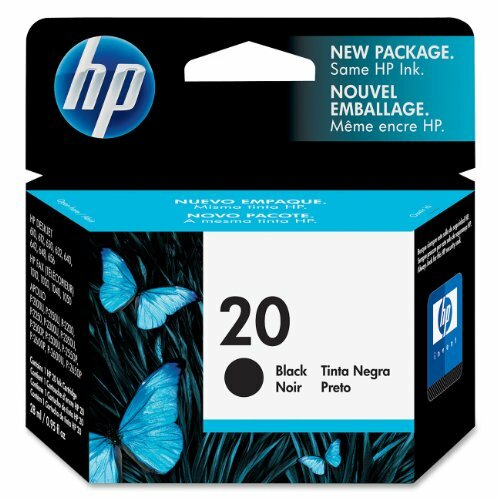 The HP 20 Black Ink Cartridge features proprietary HP pigmented ink. It works with HP 49 Tri-color Ink Cartridges to deliver crisp, black text, vibrant, photo-quality color, and outstanding print quality. Want more pages, great reliability, and amazing value? You want original HP inks. Why buy original HP ink? Get up to twice as many pages vs. with refills. Based on a Buyers Laboratory Inc. 2014 study commissioned by HP for the on-average performance of cartridges refilled and remanufactured by leading refill service providers compared to Original HP ink cartridges (60XL Black, 60XL Color, 61XL Black, 61XL Color, 74XL Black, 75XL Color, 564XL Black, 564XL Cyan, 564XL Magenta, 564XL Yellow, 950XL Black, 951XL Cyan, 951 XL Magenta and 951XL Yellow ) sold in North America; http://www.buyerslab.com/products/samples/HP-Inkjet-Cartridges-vs-Refilled-Cartridges.pdf. Ensure that your printing is right the first time and every time. Return & exchange information: HP.com will accept returns or exchanges for this product up to 30 days after delivery. Color: Black Want more pages, great reliability, and amazing value? 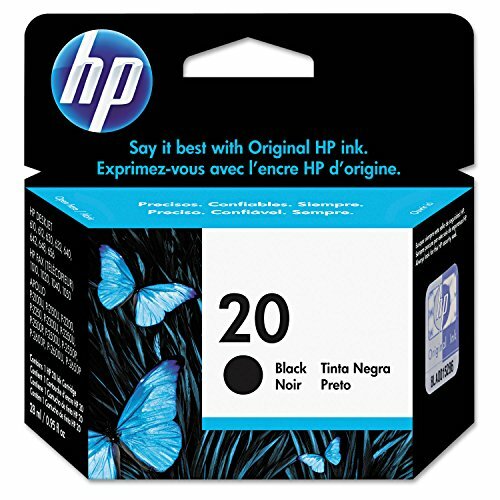 You want original HP inks The HP 20 Black Ink Cartridge features proprietary HP pigmented ink. 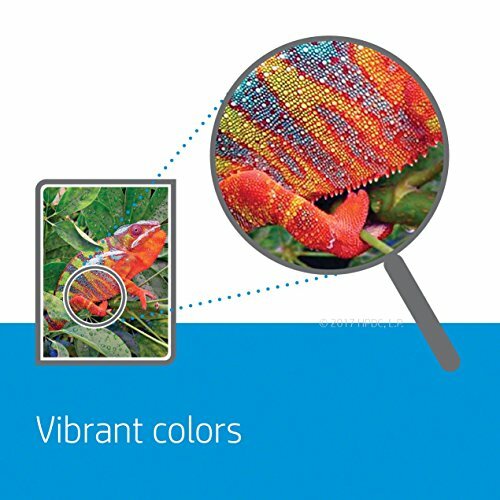 It works with HP 49 Tri-color Ink Cartridges to deliver crisp, black text, vibrant, photo-quality color, and outstanding print quality Get up to twice as many pages vs. with refills. 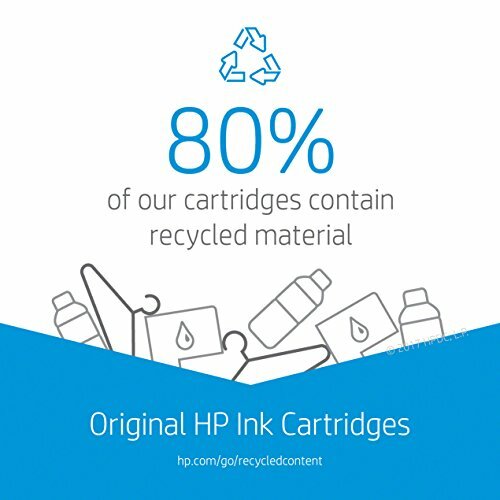 Based on a Buyers Laboratory Inc. 2014 study commissioned by HP for the on-average performance of cartridges refilled and remanufactured compared to Original HP ink cartridges What's in the Box: New Original HP (genuine) ink cartridge HP Printer compatibility: HP DeskJet 612, 610, 656. HP Fax 1020, 1040, 1010.